Since we kicked off the New Year with a special series of 'January Club' fitness and sports features, we have, you might be shocked to hear, kept up with our regular exercise routines and activities. 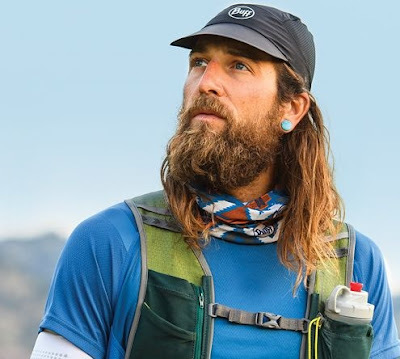 But, if you've done the same, and are now wondering why running is getting more difficult, its time to get some new summer work-out gear to help combat the heat. To that end we've been testing some versatile head wear, the Buff Pack Run Cap. 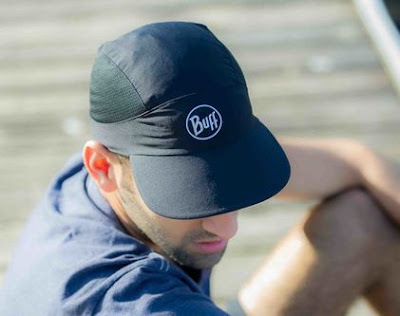 Buff have featured on these pages a few times now, and we've always enjoyed testing their range of hats and head wear. More often than not, Buff accessories are whipped out to protect you from the cold, making them great for exercising in the winter, back when we started covering fitness products more. But the Buff Pack Run Cap seems to be holding its own now that the temperatures are rising each day, and it has also caught our eye as great for travel and camping. The Buff Pack Run Cap itself is very small and light. It is designed to be a snug fit and features an elasticated, drawstring fastener around the edge. As it is to be worn primarily during running and hiking, it needs to stay put afterall. It is exceptionally light and thin at just 30g, and despite the front visor being stiff enough to retain the shape, it can also flex and bend easily. Flexible is certainly key here, as the whole cap can be rolled up and scrunched into a tight ball, wrapped together by the drawstring, therefore taking up very little space in your pack or pocket. It uses a moisture wicking, breathable fabric to keep your head cool and dry, and the silver lining has antibacterial qualities to deal with the stinky sweat smell. This we have thankfully discovered after one of number has been wearing it for a full fortnight of running sessions. Also, even if it does get a bit rank, the Buff Pack Run Cap is fully washable. Obviously, your main apparent bonus to wearing this while outdoors in the summer is the visor. Having a visor over your eyes while out and about is one of those things you might not realise you need until you try it. Anything that helps keep your vision clear while running, especially on busy urban streets, is a plus. But the cap also features UV protection, with UPF 50 offered throughout. Basically, bald guys - buy one now. 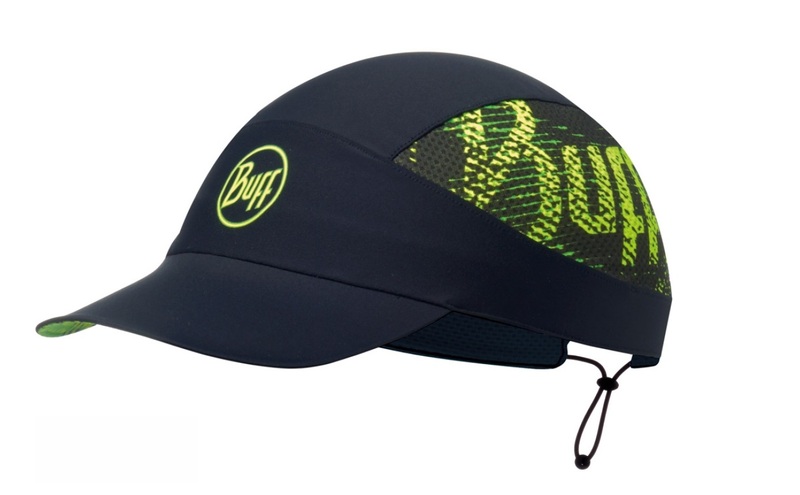 The Buff Pack Run Cap comes in a varity of colours (as all Buff products tend too), but we were happy to get the black cap with the day-glow Buff logo pattern. Anything that is brighter than your hair will make it easier for people to notice you, so there's another exercise plus for this thing. And that's it, really. 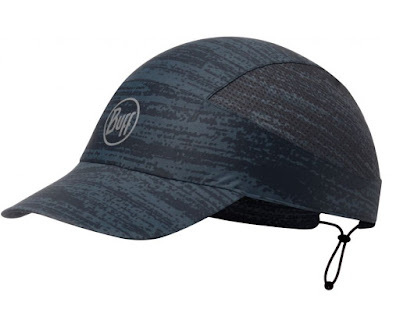 It is a folding, lightweight sports cap with a flexible visor and UV protection. Thumbs up.